At Mapa Research we find innovation often happens in a cluster. One bank does something, and then its peers rush to do the same. Like last quarter, Barclays had added a ‘base rate information centre’ to their website featuring a rate change calculator & now other providers have added similar advice and tools to their sites to help customers assess the implication on an impending mortgage rate rise. Brands such as Halifax, Lloyds Bank and Cheltenham & Gloucester (C&G), under the Lloyds Banking group, have all introduced identical content including a rate change calculator to their existing mortgage customer section. The content and the calculator are, however, rather basic when compared to that of Barclays. 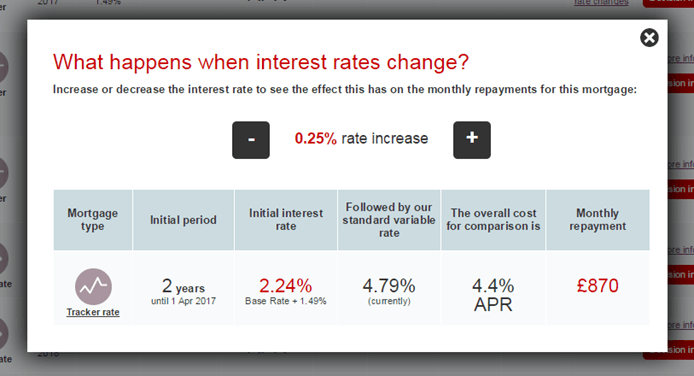 Virgin Money has also added a rate change tool to its website, but with a different intent and purpose. The tool has been included as part of a new mortgage finder tool and is displayed only alongside Tracker mortgages allowing users to see the effect of a rate change on the chosen tracker mortgage. The feature uses colour coding to depict results with green representing a favourable rate change with reduced monthly repayment and red representing an adverse rate change with an increased monthly repayment amount. 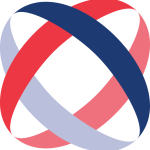 In comparison to the Santander calculator, which runs over multiple screens and mostly uses dials, the NatWest calculator tool consists of a single scrolling page mainly using sliders for entering information. And the results in NatWest’s mortgage finder tool include key product features with drill down options, whereas Santander does not. Overall, the NatWest site is neatly designed with intuitive navigation and can benefit a mortgage seeker on the go by letting them work out the preliminary maths while they are on the field viewing a property. With an increasing number of consumers using mobile and tablet for research before making purchase decisions, including that of financial products, mobile-friendly websites such as these can be useful for consumers in making informed decisions while also placing the brand in the forefront of a consumer’s mind.